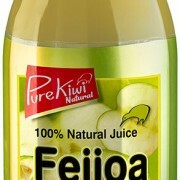 From the same family as the guava, the Feijoa is also known as the Pineapple Guava. It can be enjoyed fresh, but frequently it is used to prepare jams, juices, and many types of desserts due to its slightly acid and refreshing flavour. Feijoas have high levels of vitamin C, this may help protect against cancers, heart disease and in maintaining a healthy immune system. Feijoas are high in antioxidant activity containing proanthocyanins, these compounds have been found to stop blood clotting and reduce inflammation and may play a role in pressure regulation. 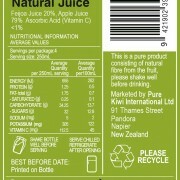 Feijoas also contain a healthy amount of fibre. 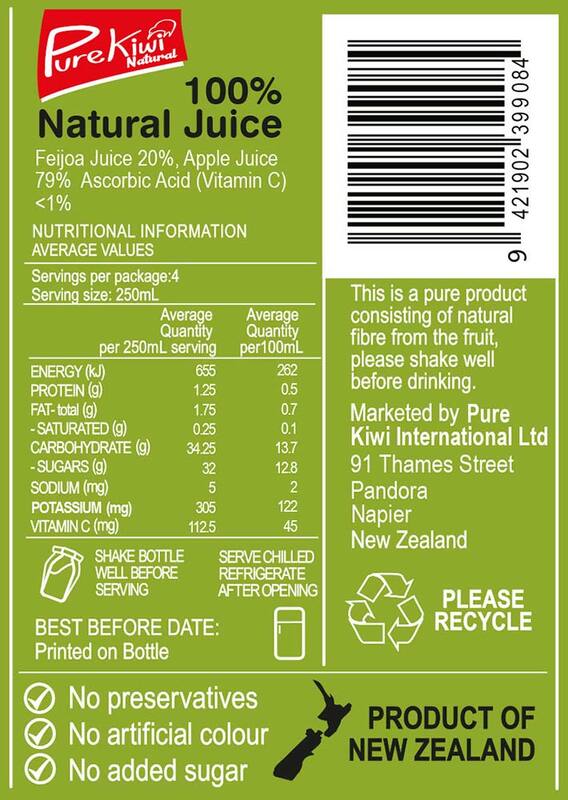 We have blended 20% Feijoa juice with apple juice to offer a refreshing drink enhancing the unique flavour of the Feijoa.